Imagine easily going upstairs to your sewing room. Imagine heading down to your basement workshop. Imagine living with increased mobility and safety. With Mobile Ramps and Lifts Zenith stairlift, you're free to enjoy your entire home again. The Mobile Ramps and Lifts Regal HD has a greater weight capacity of 352 pounds and will fit seamlessly into your home as if it is just another piece of furniture. Comes with the best warranty in the business! A completely customizable stair lift that will adapt to your unique staircase, whether it is a 90-degree, 180-degree, spiral, or a staircase with multiple landings! Available in several different seat colors and backed by a great warranty! Mobile Ramps and Lifts Heavy Duty Stair Lift features the comfort of an extra wide seat and a 500-pound lifting capacity. 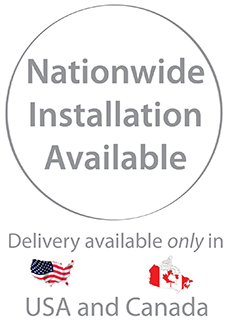 It is easy to install and will help you safely travel up and down stairs without assistance. Increase your independence and gain limitless access to all levels of your home. Enjoy access to your outdoor spaces with the Mobile Ramps and Lifts Exclusive Outdoor Stair Lift, which has been specially upgraded to withstand the elements. All electrical components are protected and the lift comes with a durable cover that will keep the seat clean and dry. While the Apex Stair Lift offers an impressive 350 pound weight capacity, it takes up less than a foot of space on your staircase; the slimmest and most light-weight stair lift on the market, it folds to take just 11” of staircase width. The track mounts directly to the stairs for maximum stability and the padded seat and armrests will provide a comfortable ride. It also comes with the nation's best warranty!